The need for an accurate, secure and easy to use mobile timekeeping solution is a must for our firm, and after looking at other vendors, it was clear iTimeKeep was the mobile time entry solution for our firm. Pittsburgh, PA, December 18, 2014 - Bellefield Systems, LLC, the leader in mobile time entry for firms of all sizes, announced today that Kramer, Levin, Naftalis & Frankel, LLP has chosen iTimeKeep as its firm-wide mobile time entry solution, after a thorough evaluation of other top competitors. The firm’s management concluded that iTimeKeep’s real time connectivity, native mobile applications and secure robust platform was the best choice to support the law firm’s mobile strategy. Kramer Levin is a full-service law firm with extensive capabilities and substantial experience having offices in New York, Silicon Valley and Paris. With 350 Attorneys, the firm has top tier practices in many areas including corporate restructuring and bankruptcy, intellectual property, real estate, land use, and employment law, just to name a few. iTimeKeep, delivered as Time Entry as a Service (TEaaS) model, allows Kramer Levin to be up and running in a couple of hours, and attorneys are immediately able to capture more time on their mobile devices from anywhere they are. Kramer Levin will be joining Bellefield’s growing community of users, with tens of thousands of attorneys using iTimeKeep around the world, reducing time leakage, and benefiting from contemporaneous time entry. The addition of Kramer Levin is a testimonial to Bellefield’s commitment to innovation and continued relentless efforts to delivering the best time entry solution for attorneys around the world. Bellefield is committed to helping lawyers improve their work lives by developing innovative and intuitive applications that solve real-world challenges. Bellefield does this by identifying a problem, evaluating it from many different perspectives, and working tirelessly to create the best possible solution. 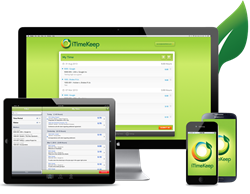 Bellefield’s flagship product iTimeKeep ranks #1 as the most adopted Mobile Time Entry solution for attorneys for a second consecutive year. Founded by software veterans Gabriela Isturiz, Daniel Garcia, and John Kuntz, Bellefield is an independent, privately held company headquartered in Pittsburgh, Pennsylvania. To learn more, visit Bellefield Systems.